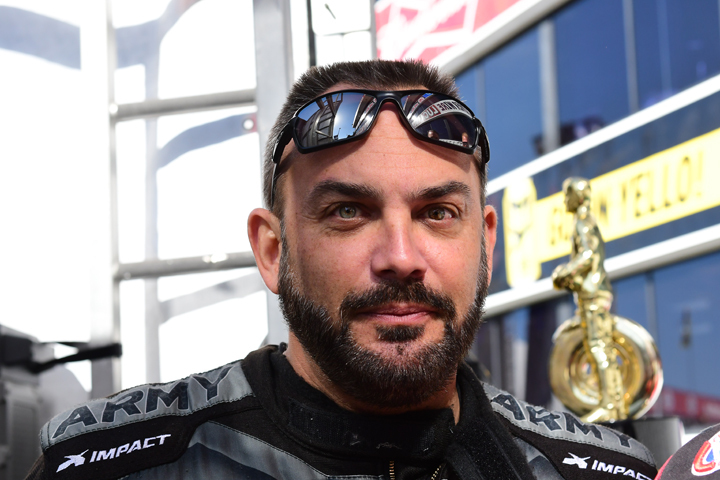 Tony Schumacher, the eight-time NHRA Mello Yello Top Fuel champion with 84 national event wins in his overall’s pockets, will be absent from the Lucas Oil NHRA Winternationals this weekend. 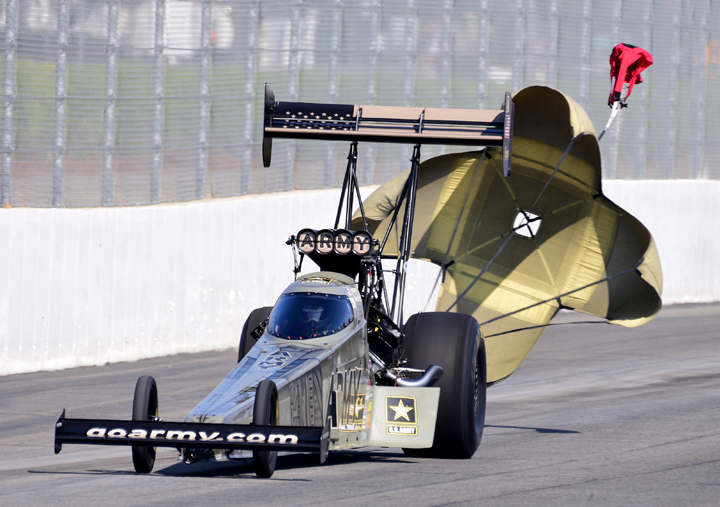 “The Sarge”, as he’s been known during the breadth of his career with father Don Schumacher Racing’s team, lost his U.S. Army primary sponsorship in the middle of last season and DSR faces challenges finding a replacement. 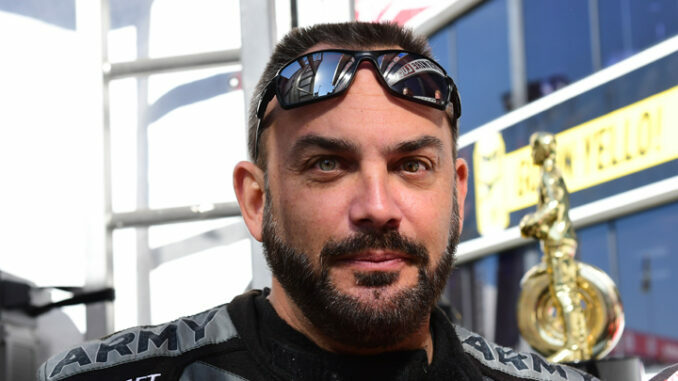 For that reason, the team has elected to park Schumacher’s rail for the season starter, although the driver intends to be on-hand to support his two Top Fuel teammates, three-time champ Antron Brown and Leah Pritchett, who earned NHRA’s Factory Stock Showdown title in 2018. To counterbalance reports that he’d be retiring, Schumacher posted to his Facebook page: “Some of you have probably heard the news that our car is parked. We are still working on a sponsorship deal. These things take time but like I said before, I am absolutely NOT retiring,” Schumacher said. Schumacher finished second in the 2018 Countdown to the Championship despite securing a single Wally winner’s trophy. His consistency on race day and his team’s resilience, under the care of crew chief Mike “Zippy” Neff, helped bring Schumacher to the runner-up spot, even as last year’s champion Steve Torrence amassed a total of 11 victories en route to his first title. In fact, as all four NHRA champions won in the season finale at Pomona last November, Schumacher was runner-up to Torrence in that race, faster and quicker than his competitor but losing in a hole shot. 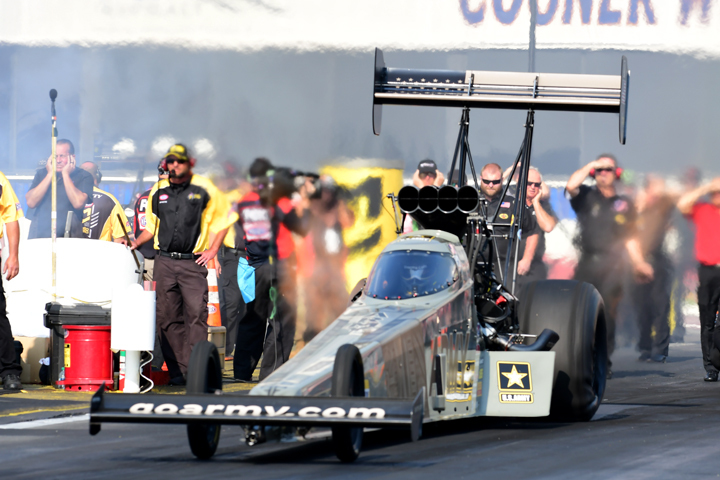 Schumacher’s Top Fuel dragster was absent from open testing in Phoenix last week; the sole DSR rep from the TF ranks was Brown, while Matt Hagan represented DSR’s four-car Funny Car team that includes Hagan, Ron Capps, Jack Beckman and Tommy Johnson Jr.